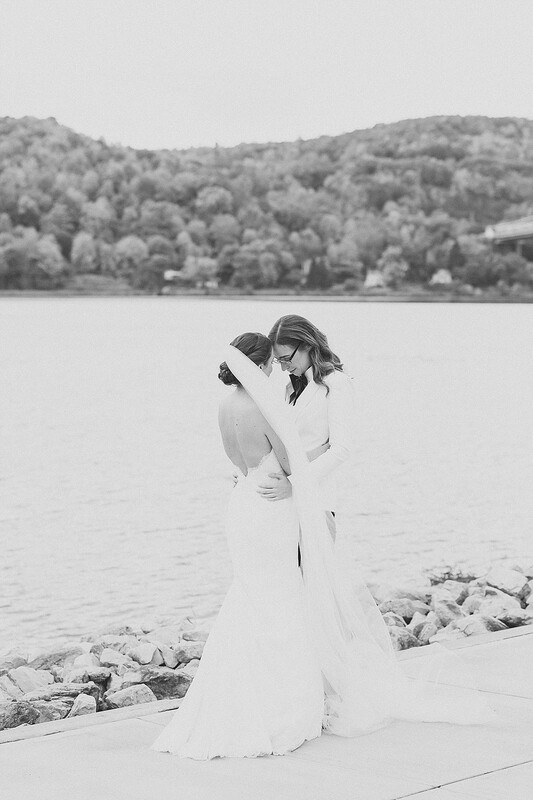 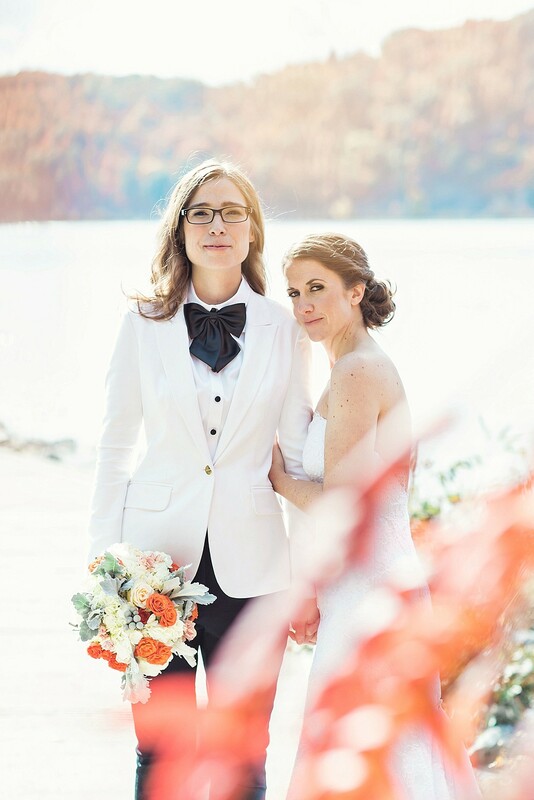 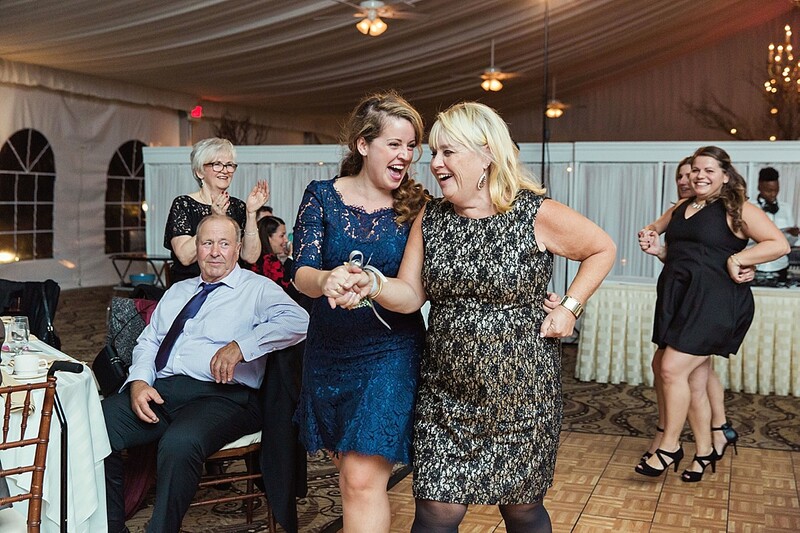 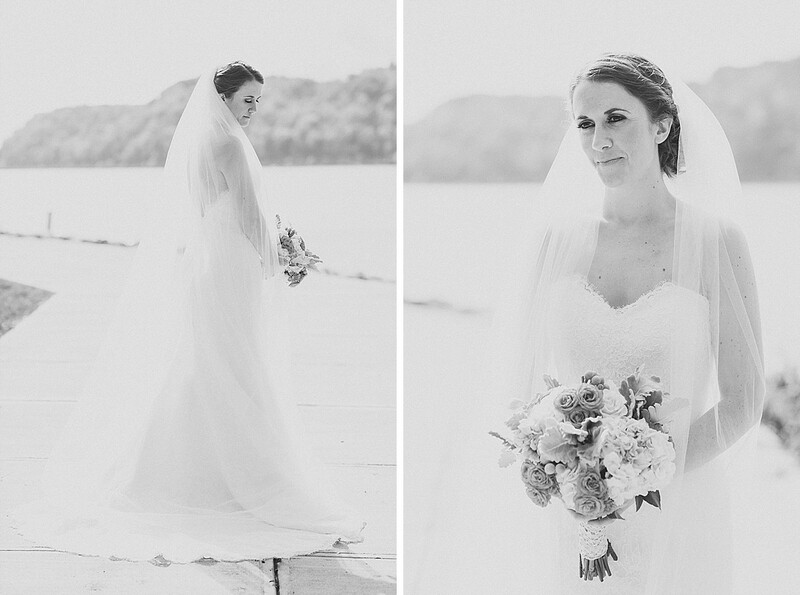 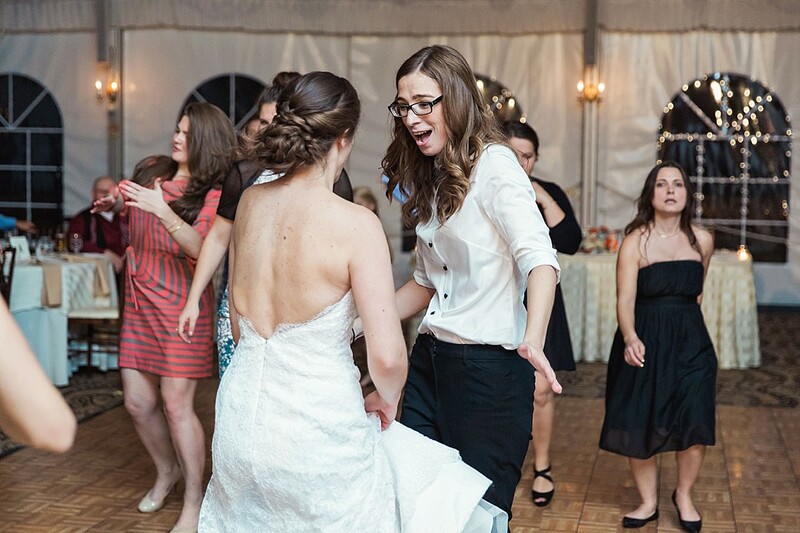 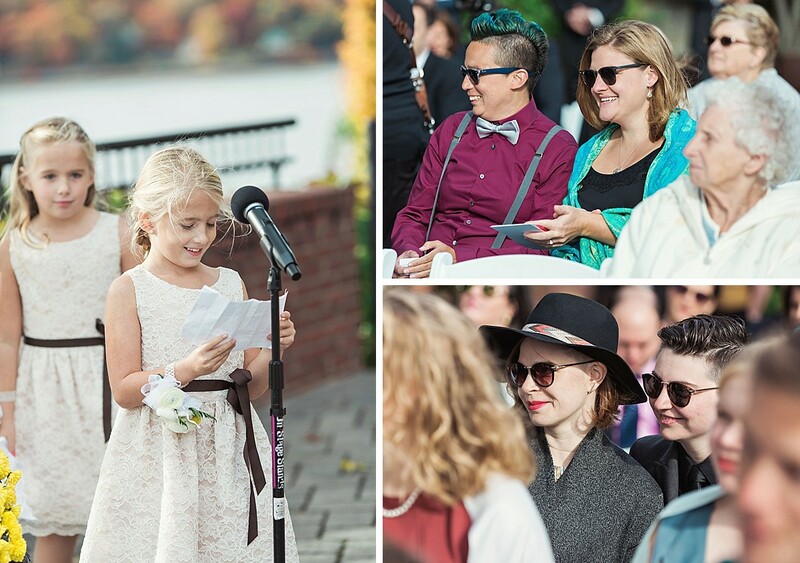 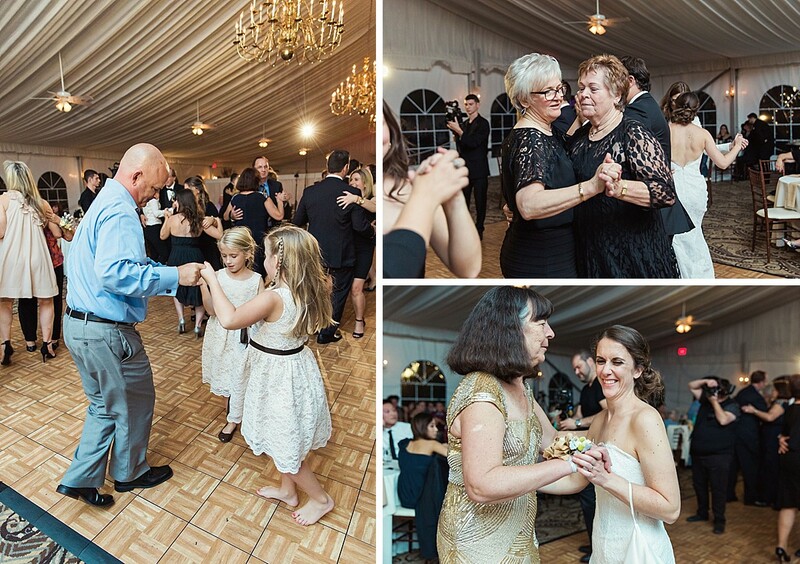 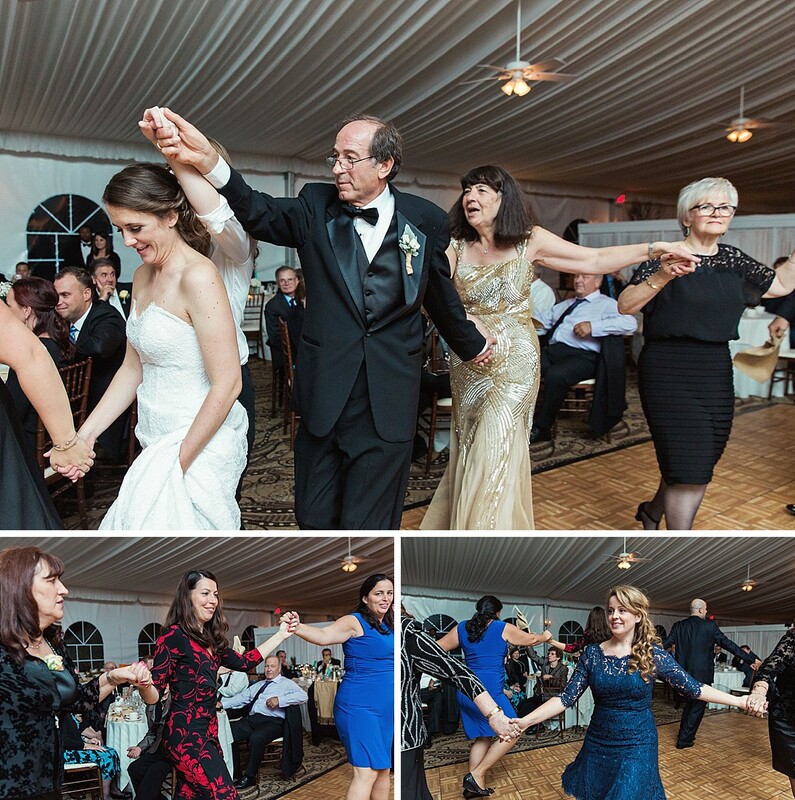 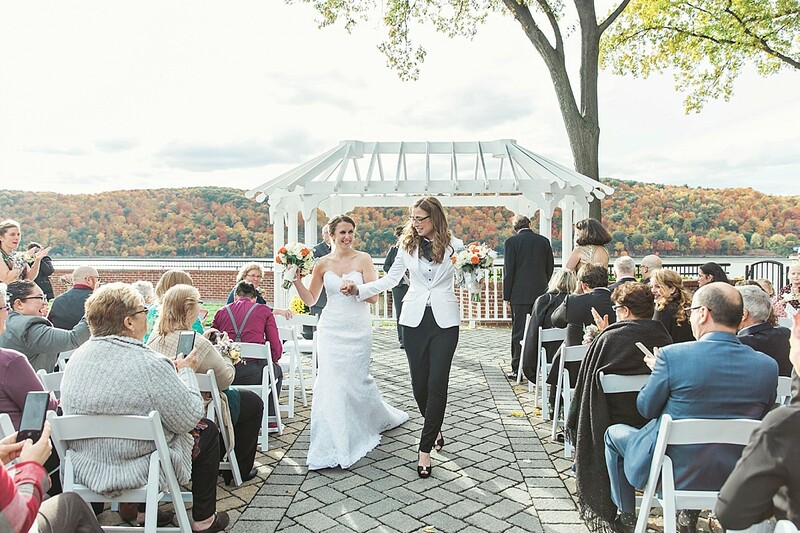 Lindsay and Christine were married on a brilliant autumn day right in the heart of Poughkeepsie, NY. 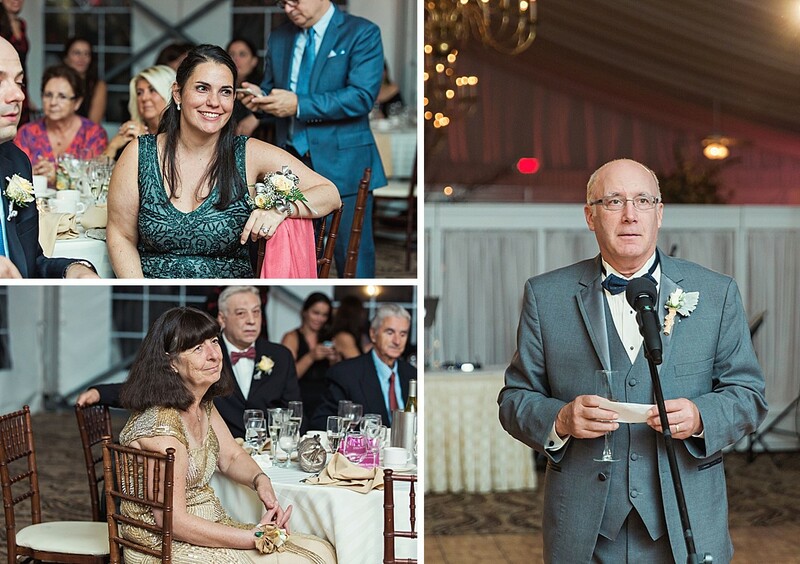 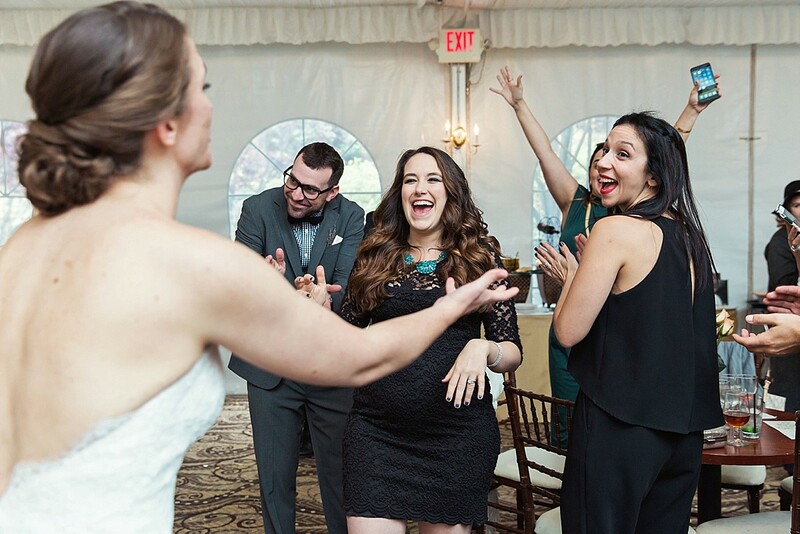 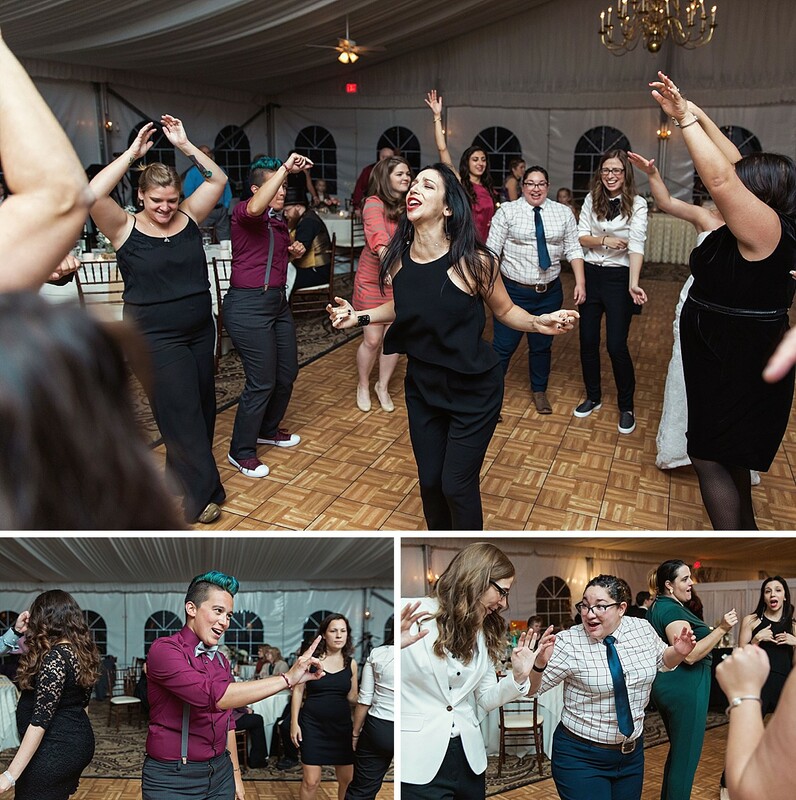 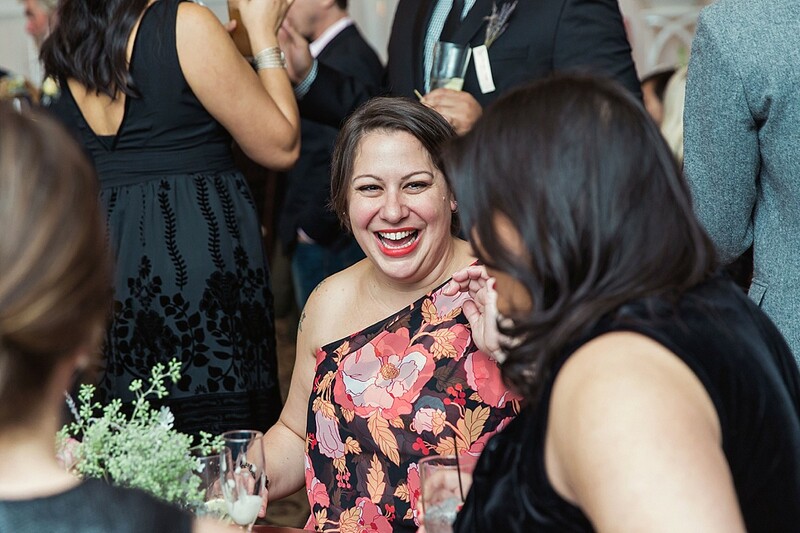 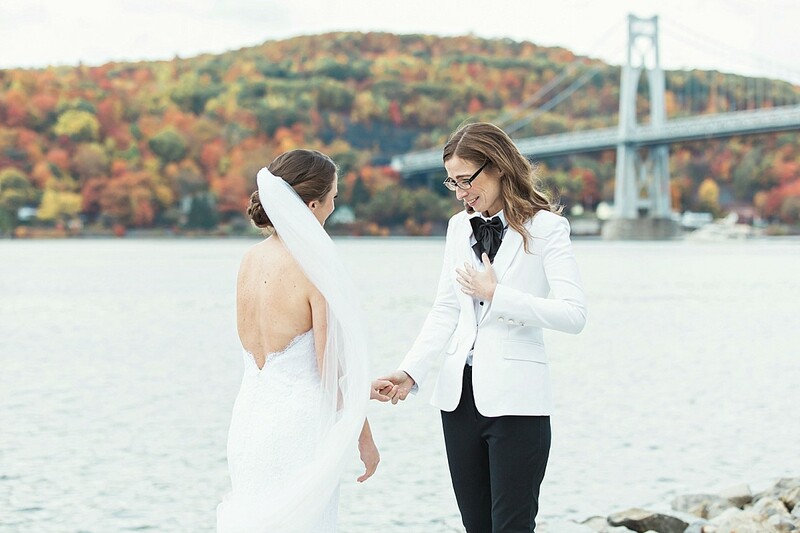 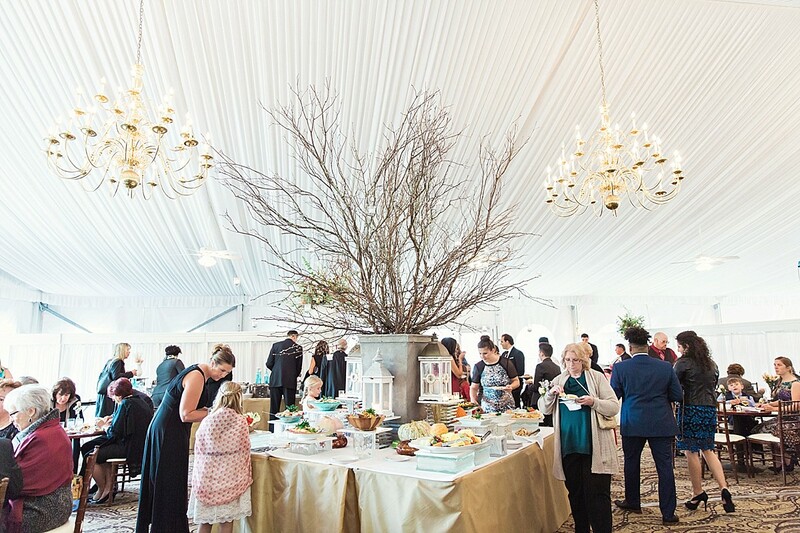 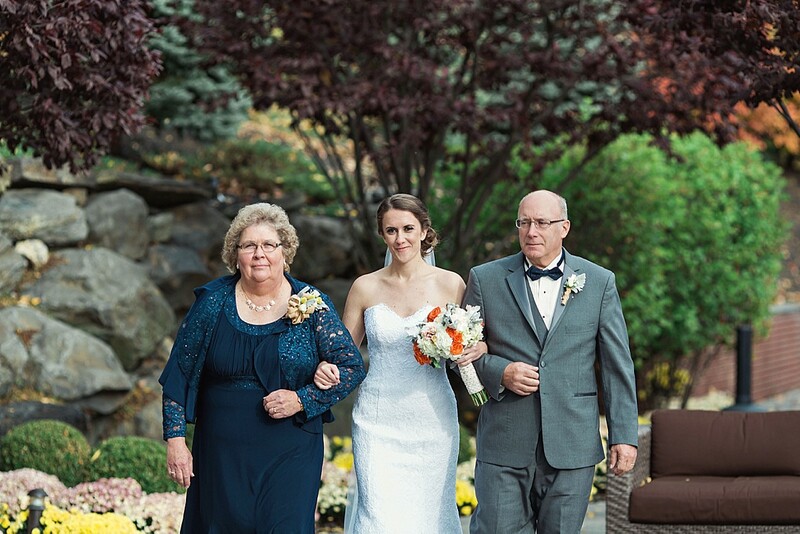 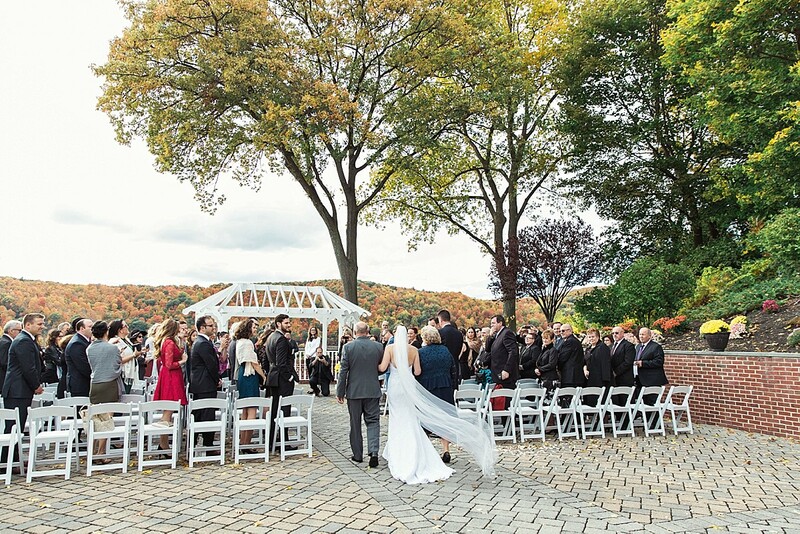 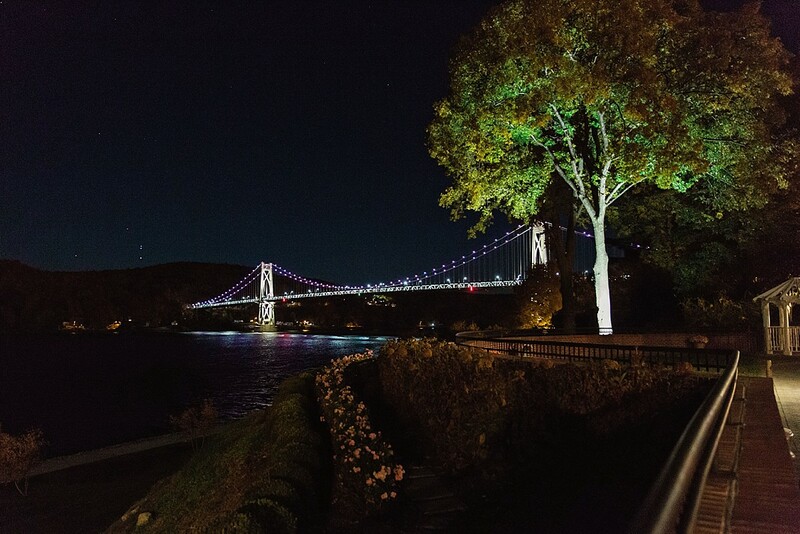 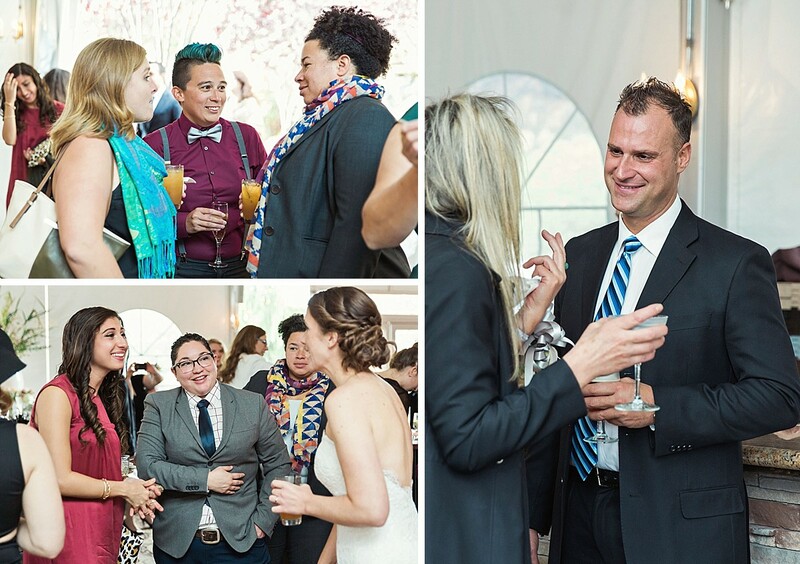 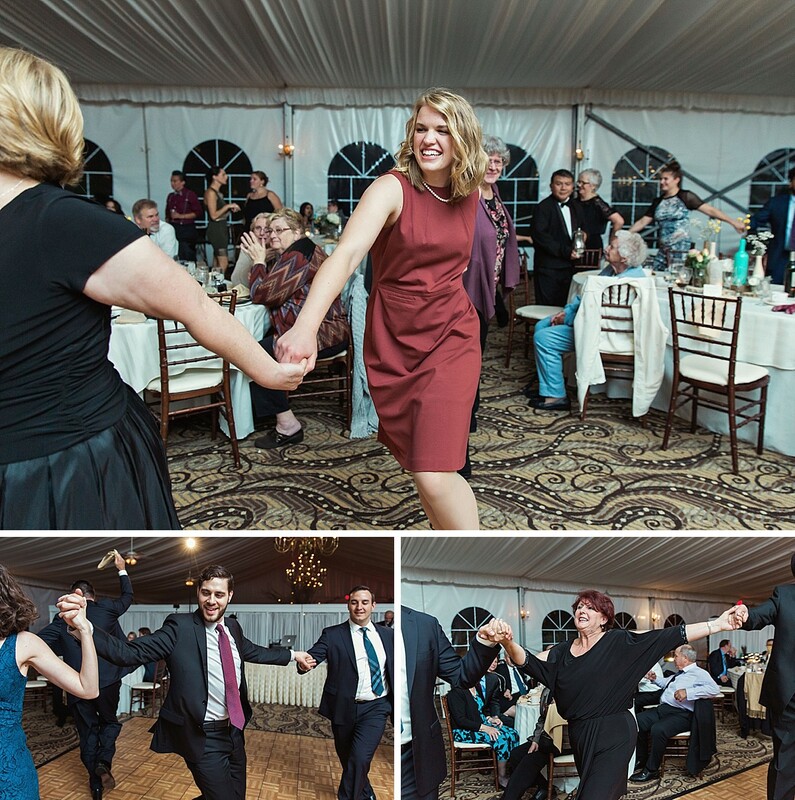 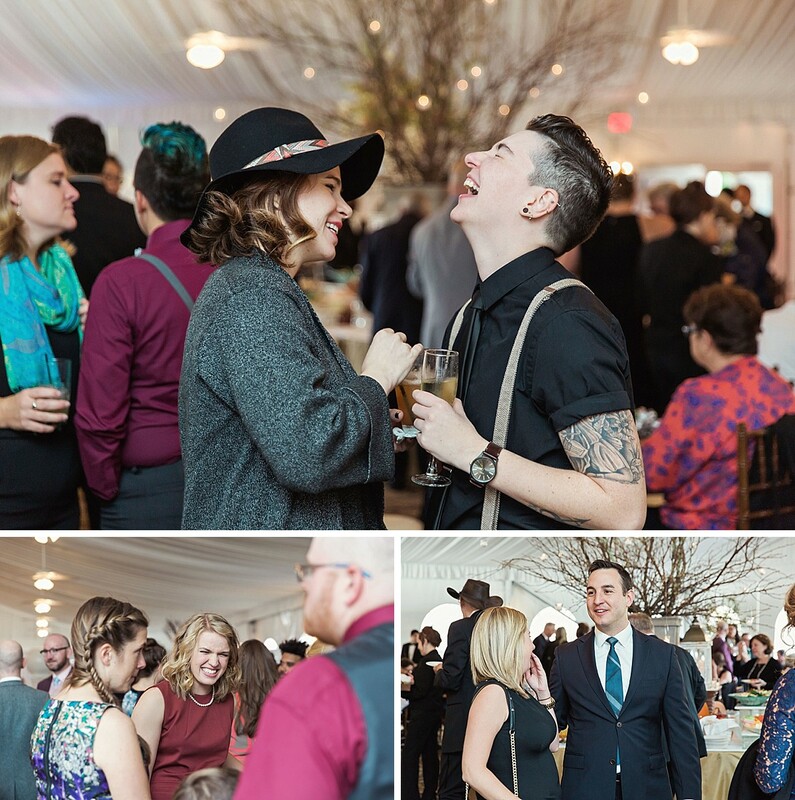 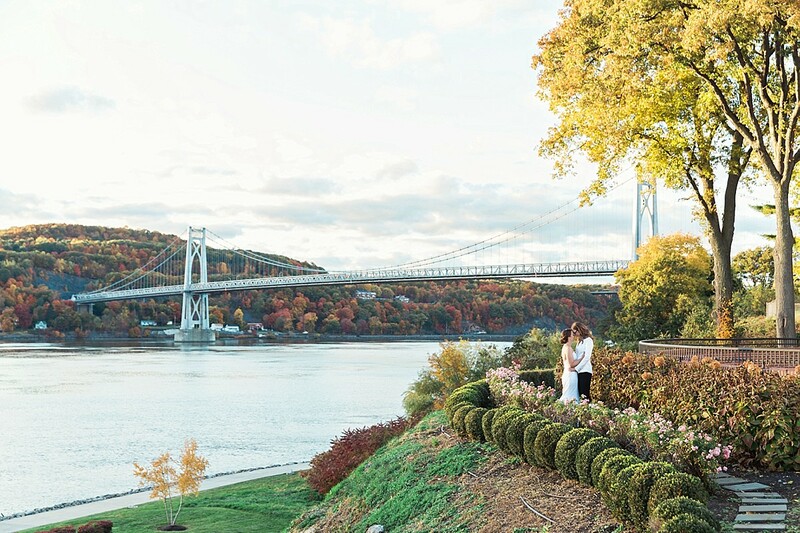 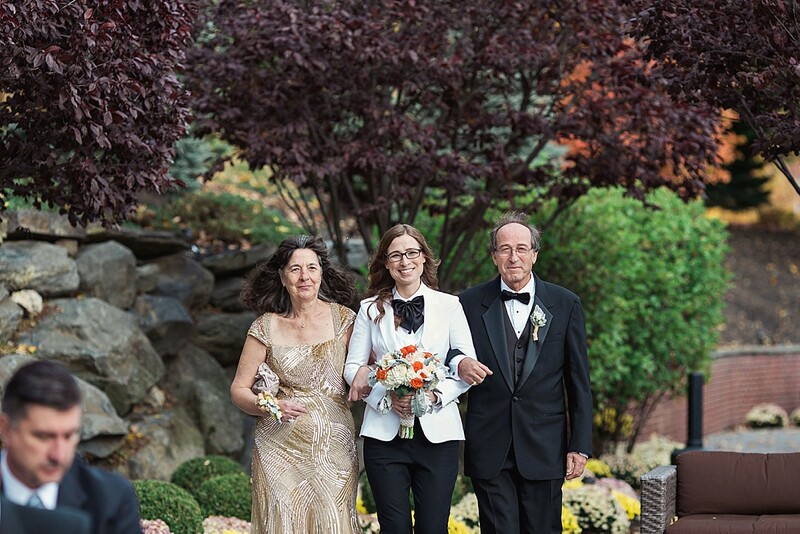 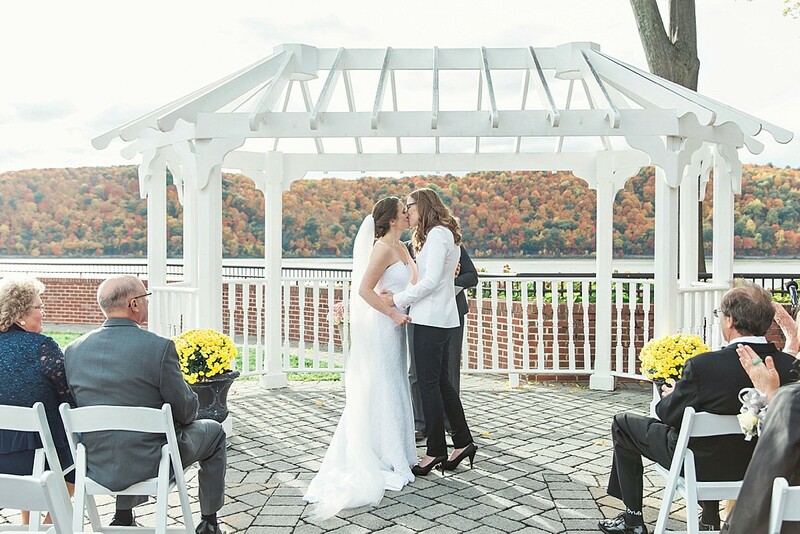 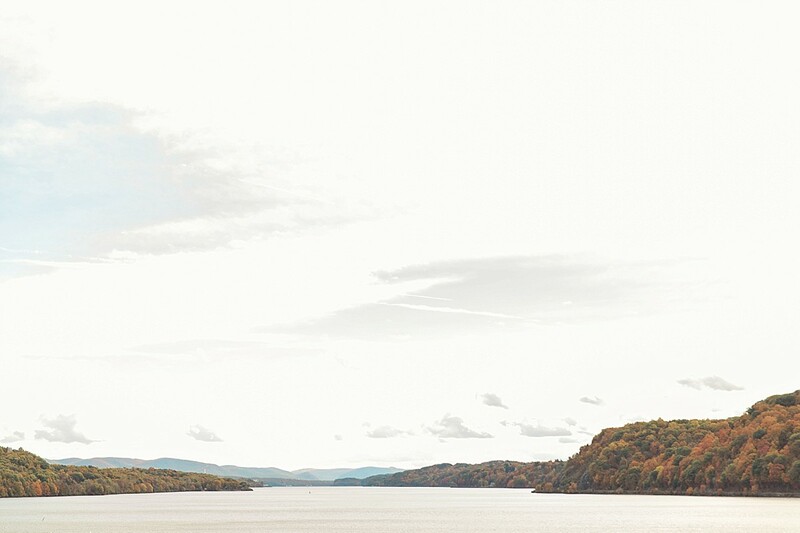 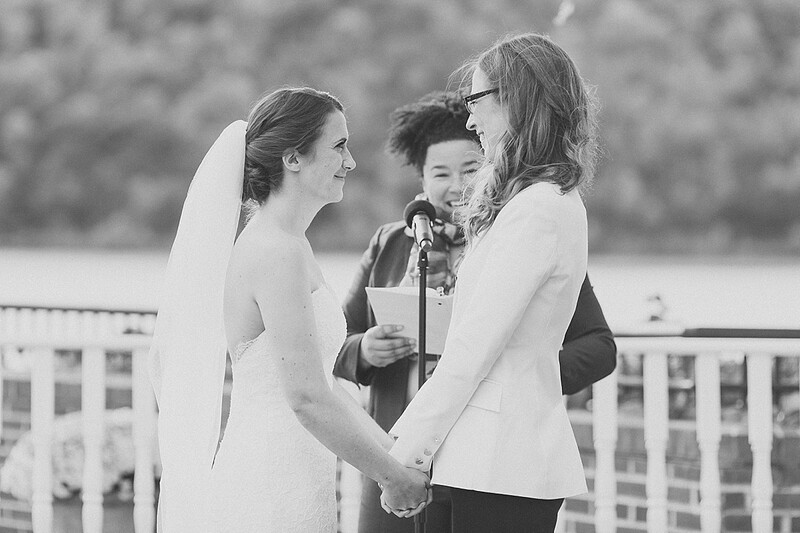 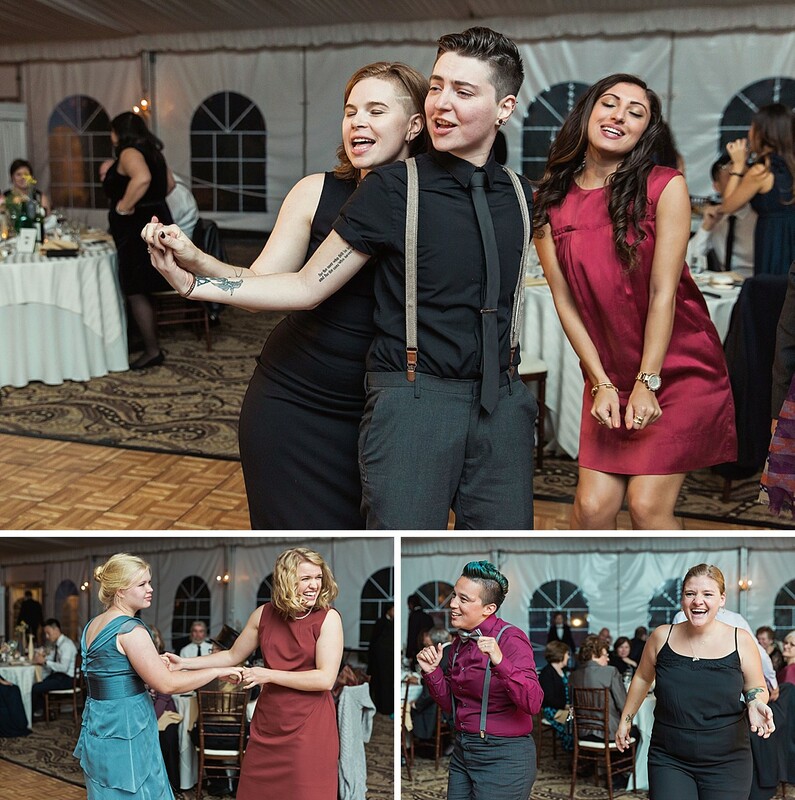 Their venue – the Poughkeepsie Grandview – overlooks the Hudson and has a spectacular view of the Mid-Hudson Bridge and the Catskills, so it was the perfect setting for their fall wedding. 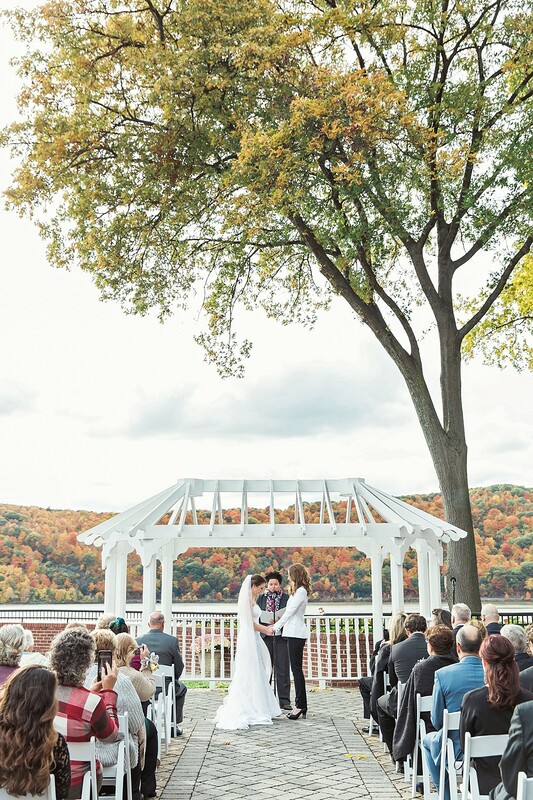 The only thing better looking than those spectacular fall colors was this amazing couple. 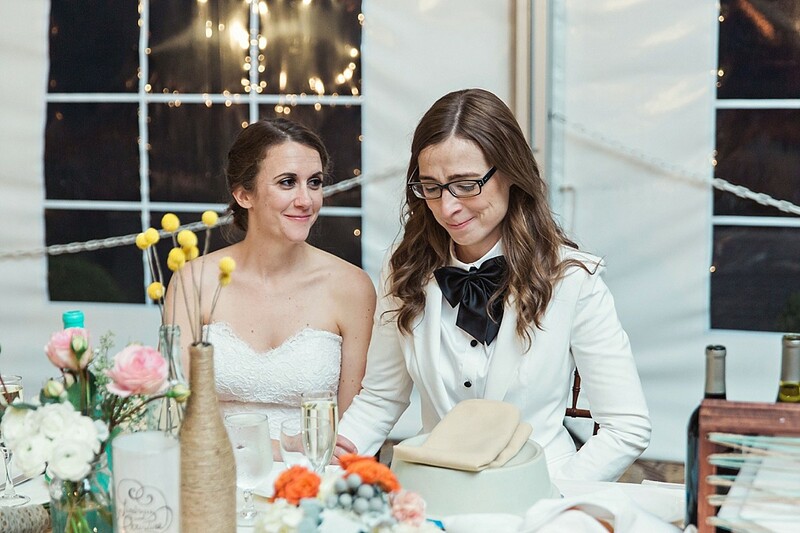 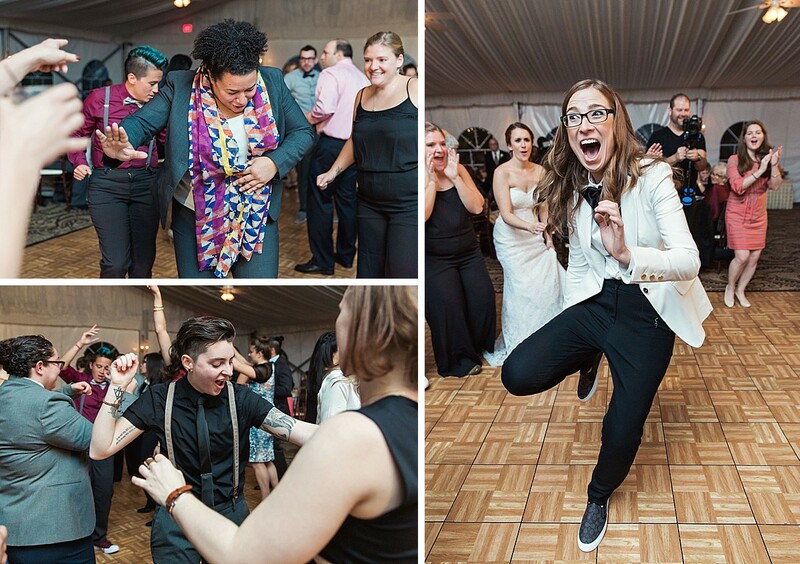 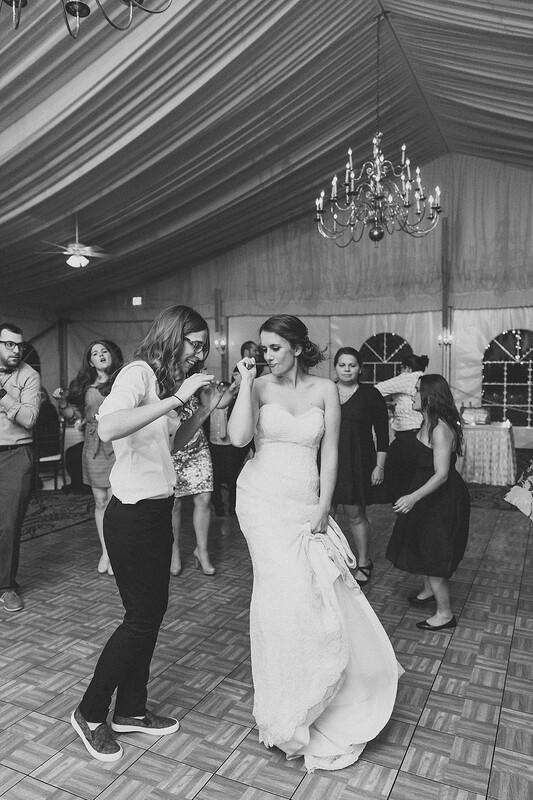 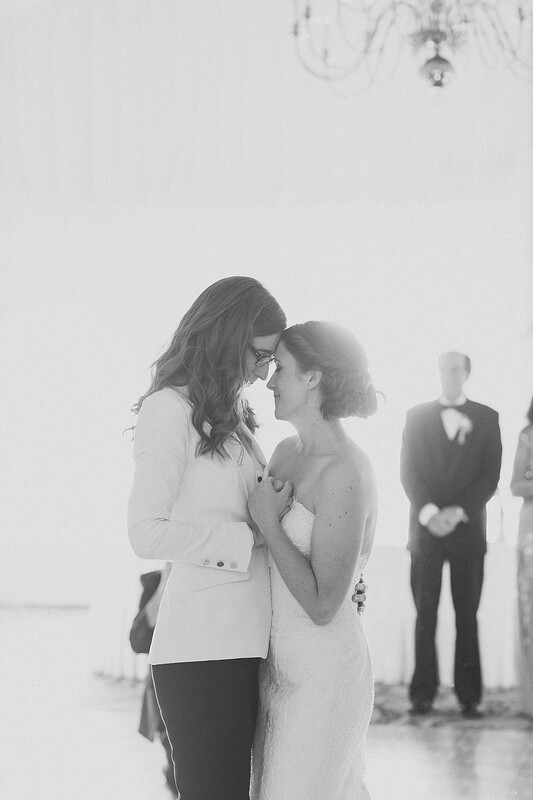 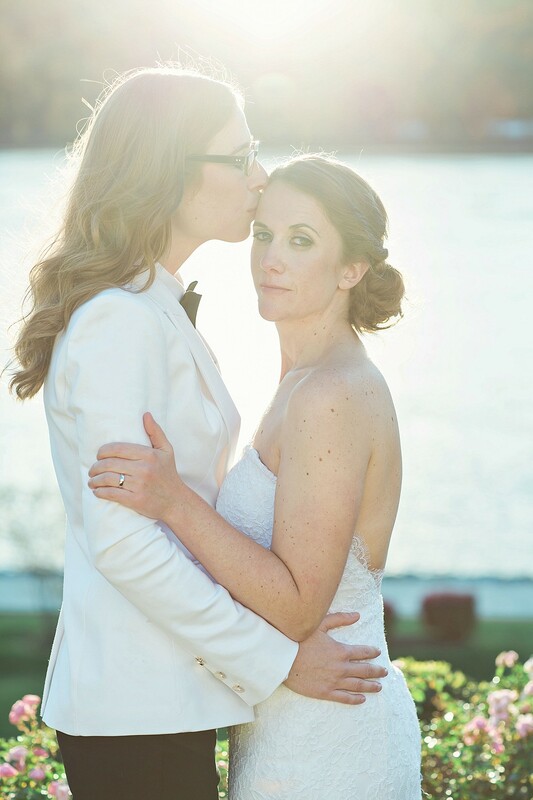 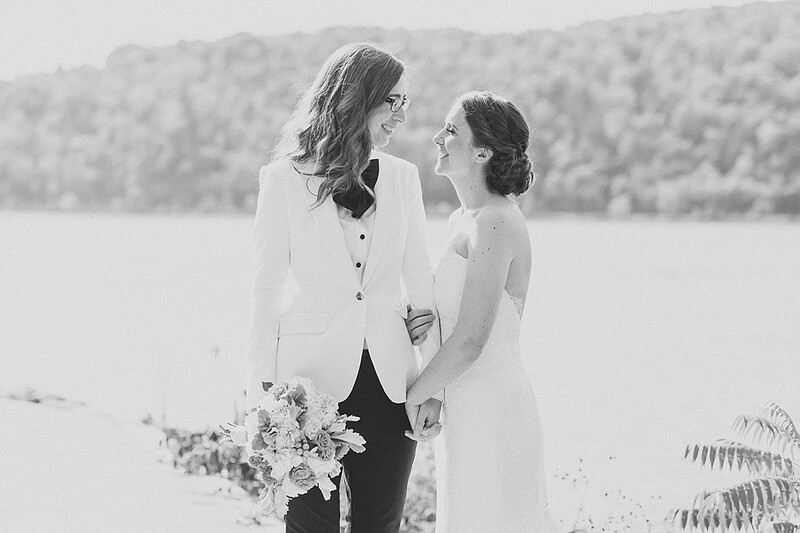 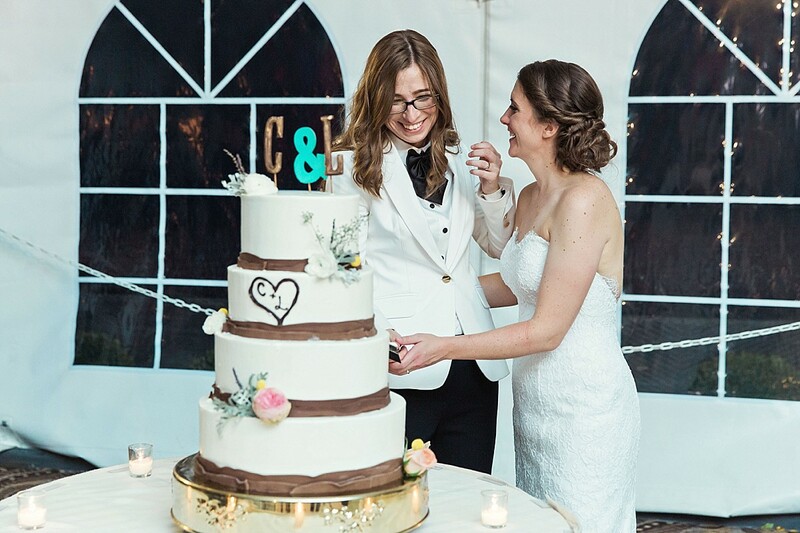 Christine’s suit and heels and Lindsay’s perfect lace dress were a match made in heaven. 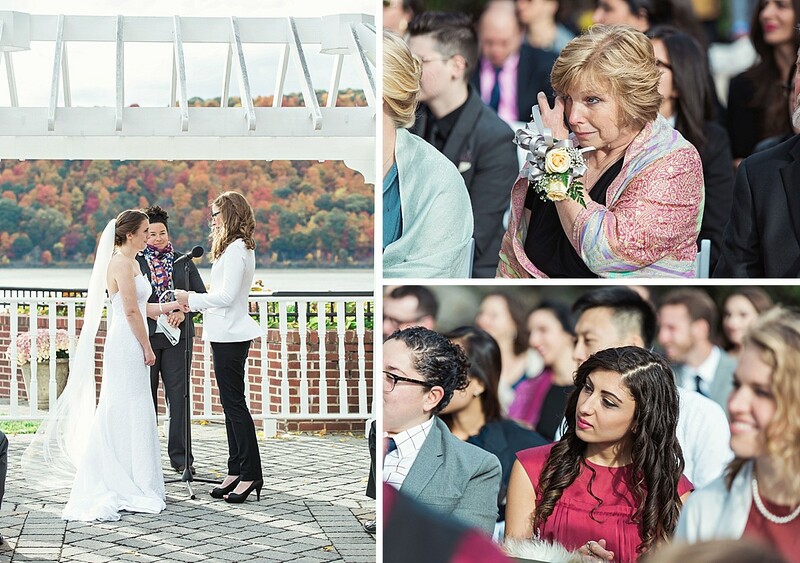 They tied the knot officially in an outdoor ceremony overlooking the river. 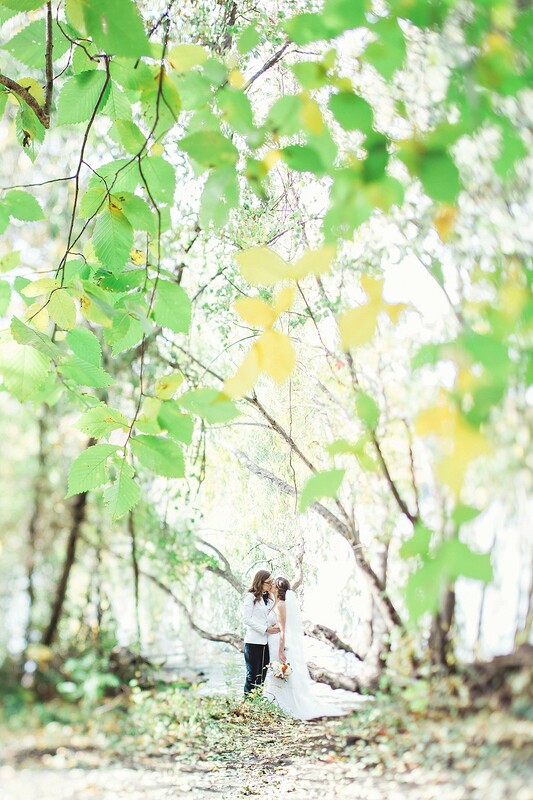 After sunset portraits of the two of them, we headed to their dreamy tent where their reception was held! 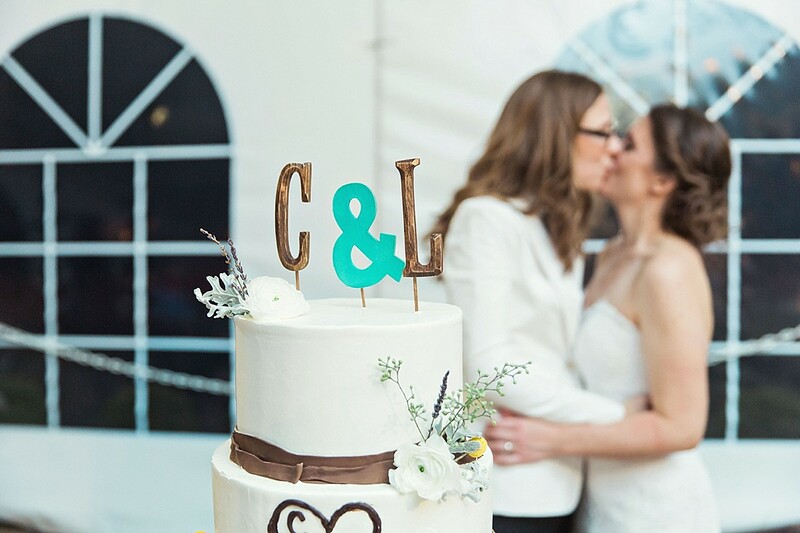 These two chose to compliment all that orange and gold with turquoise details that I was crazy about. 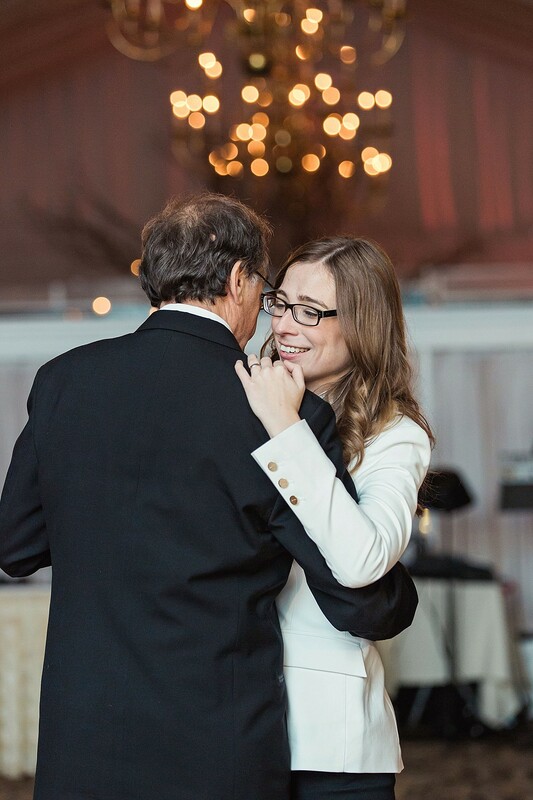 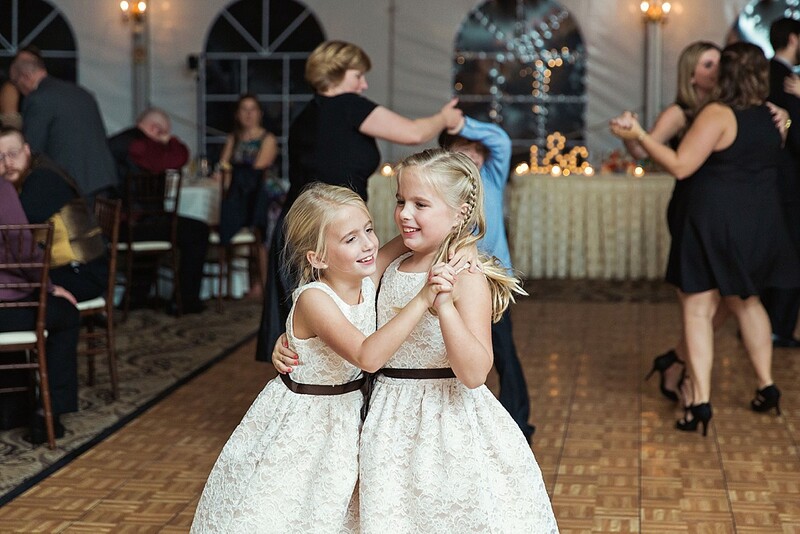 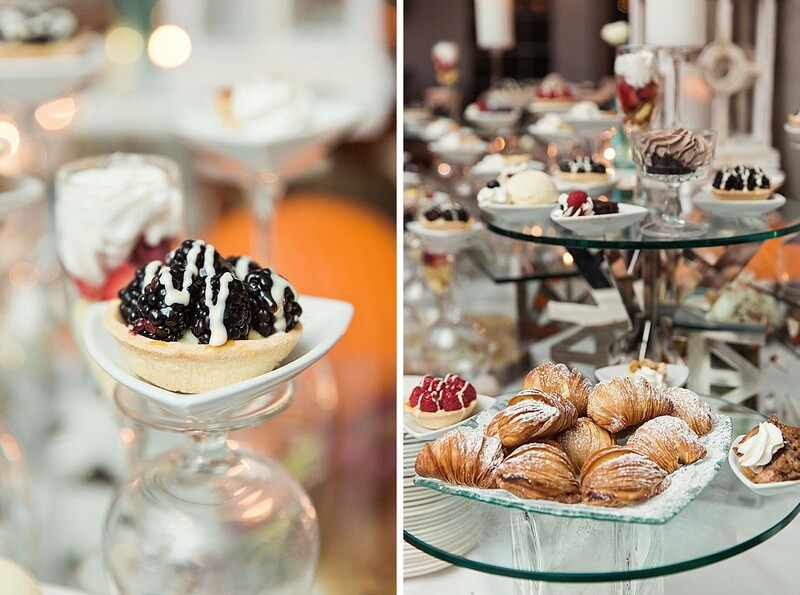 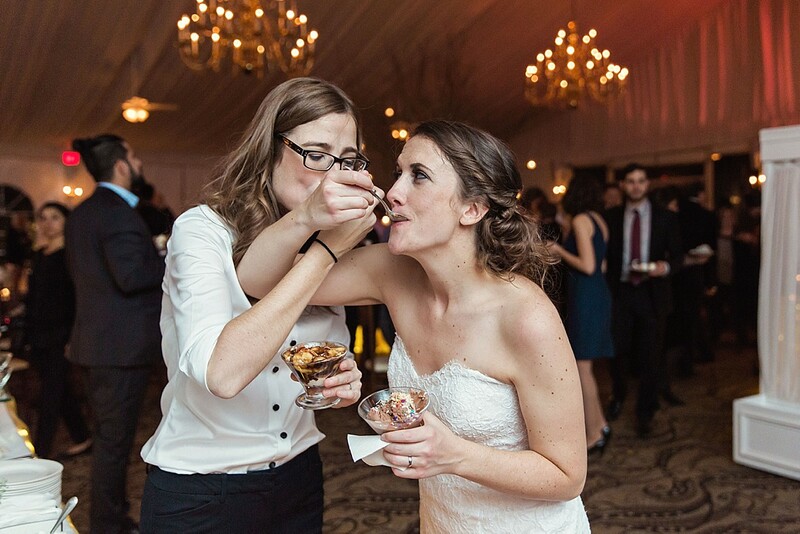 From their first dance to their dessert bar (yum! 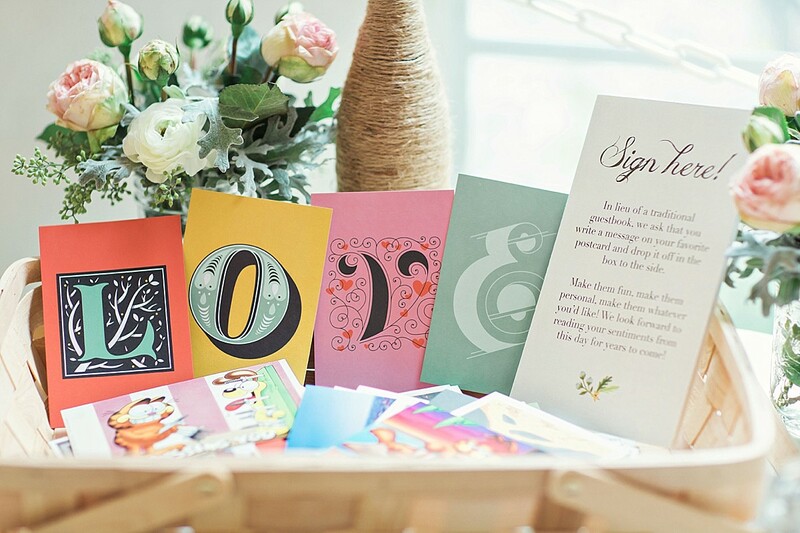 ), the whole evening was warm, cozy, and filled with love. 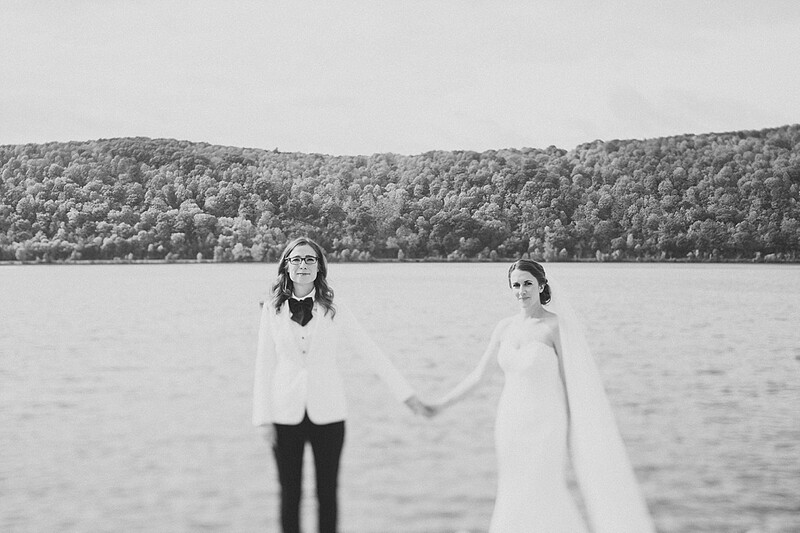 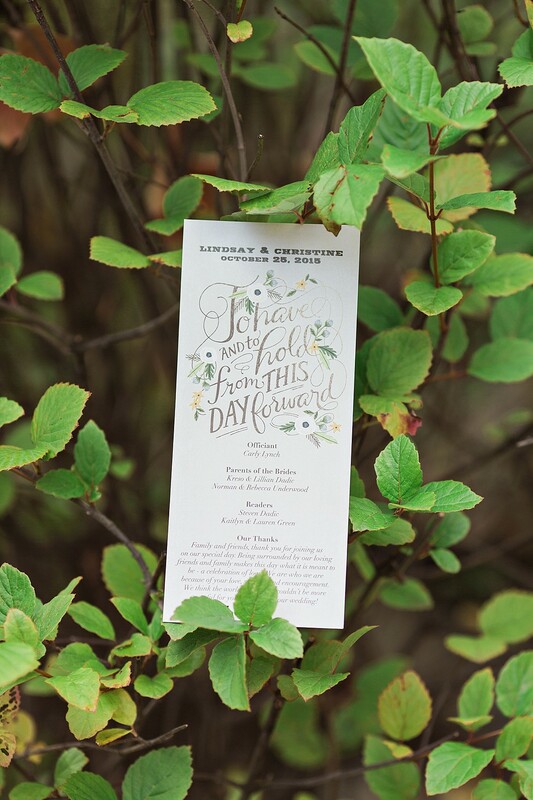 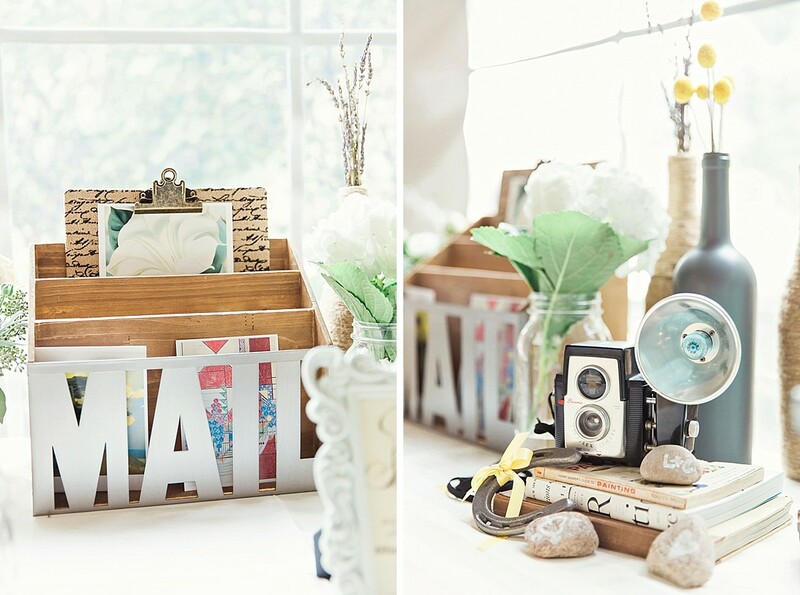 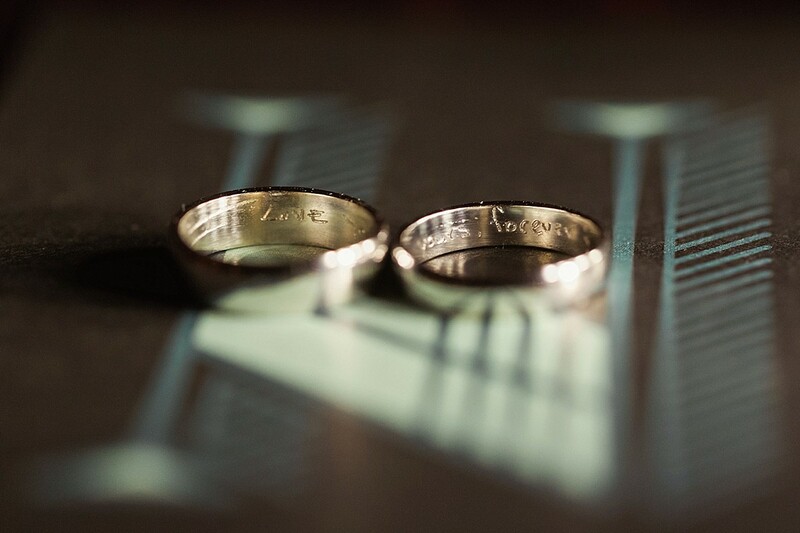 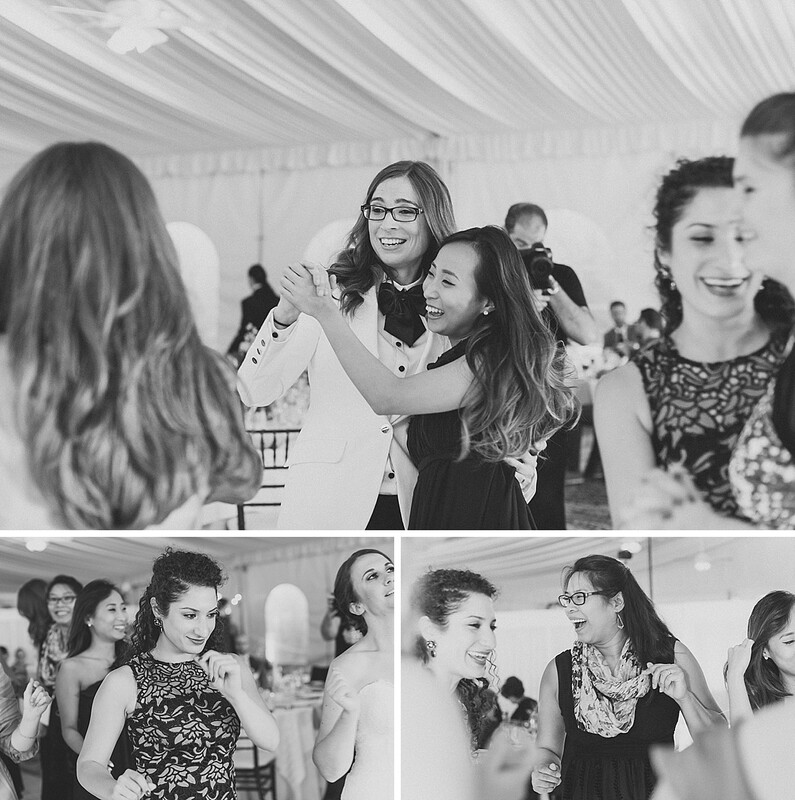 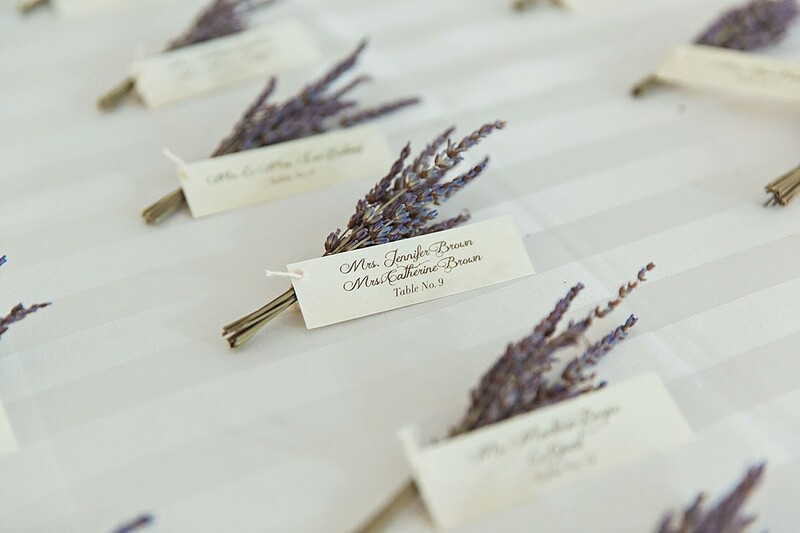 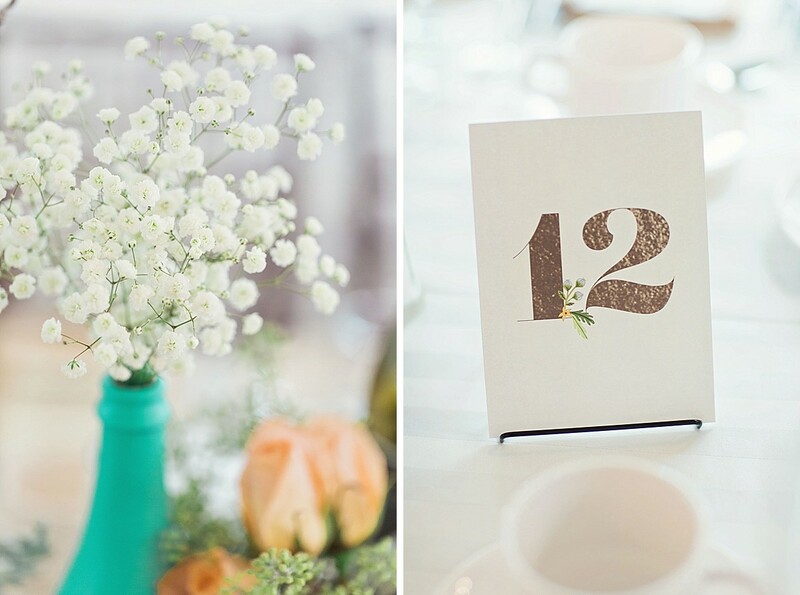 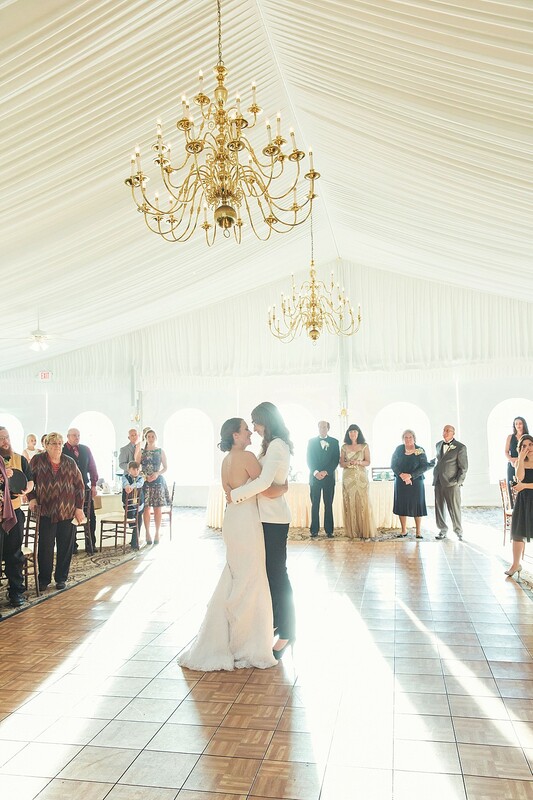 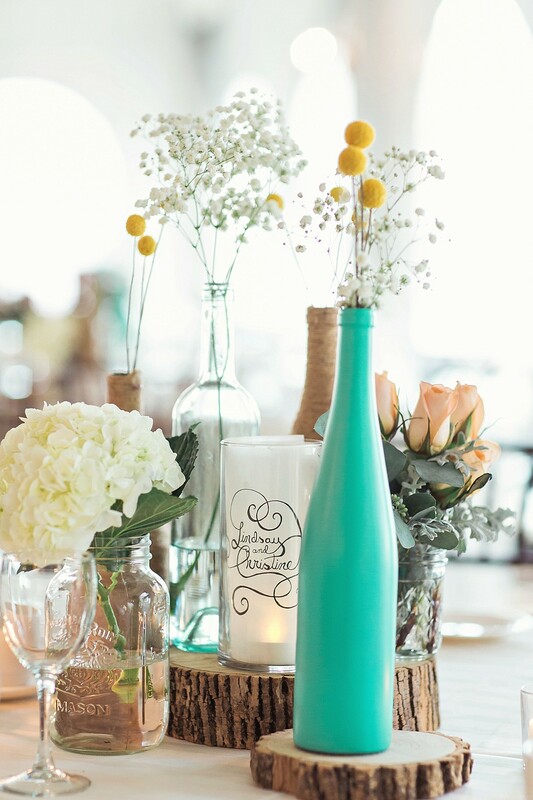 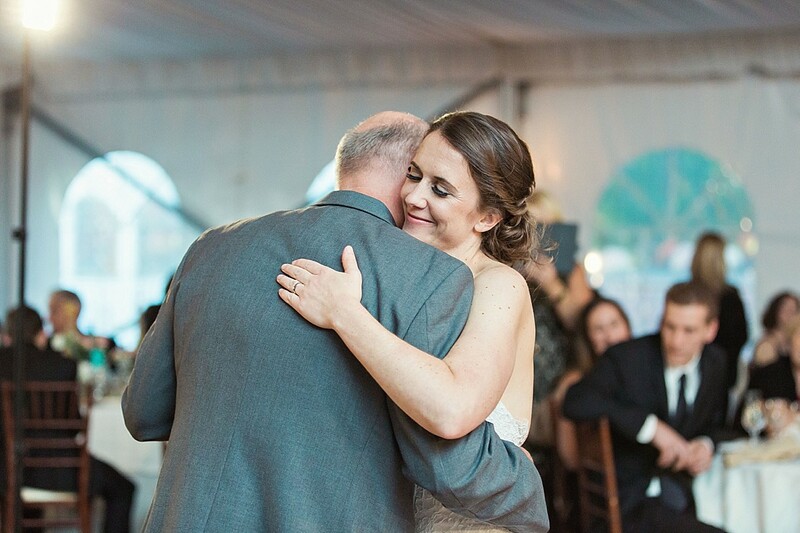 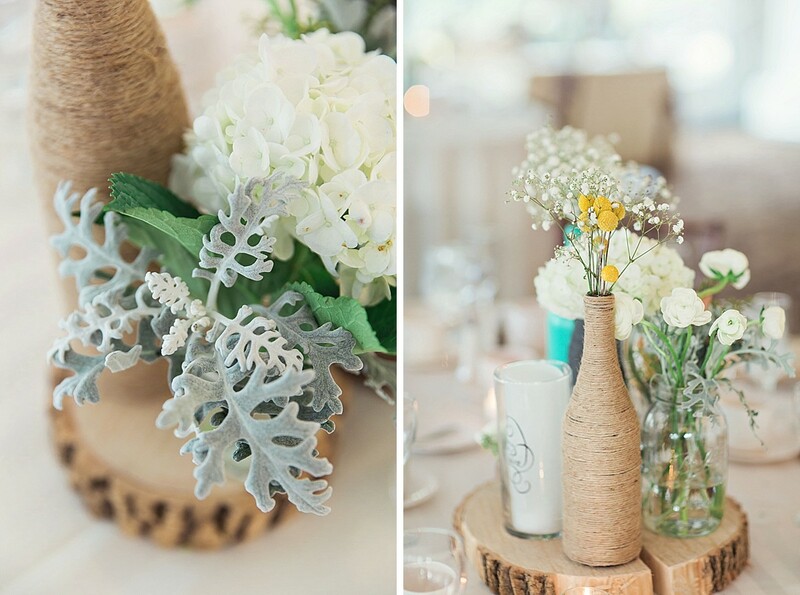 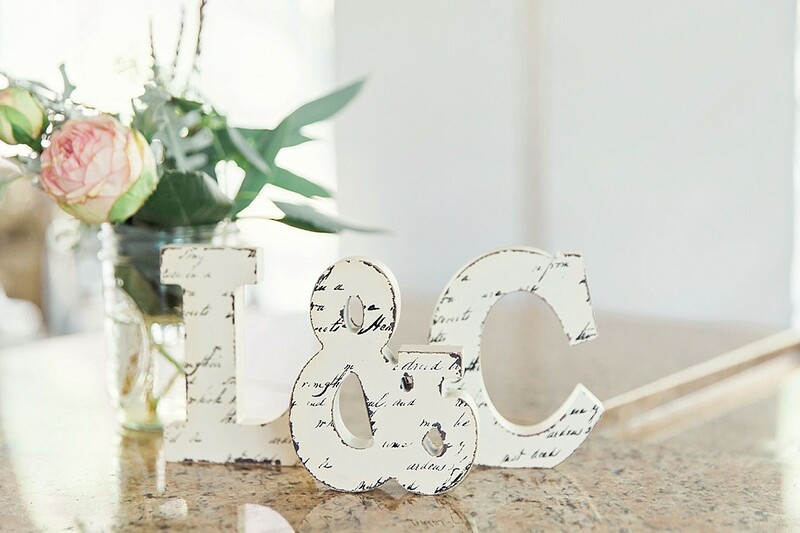 I’m so happy to finally share this perfect day on our blog. 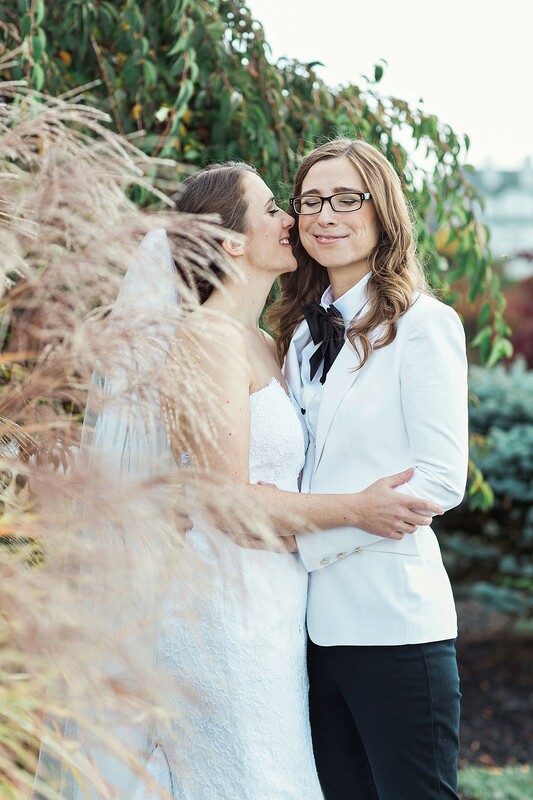 Full disclosure: it’s been a bit since these two tied the knot – they actually have a kid now, ha!